For those who are enjoying their honeymoon or celebrating their wedding anniversary, we also conduct a Balinese traditional wedding blessing ceremony. This procession starts with a ritual called segehan, a ritual to cleanse oneself from spiritual impurities, which is done at the front gate of a Balinese traditional house. 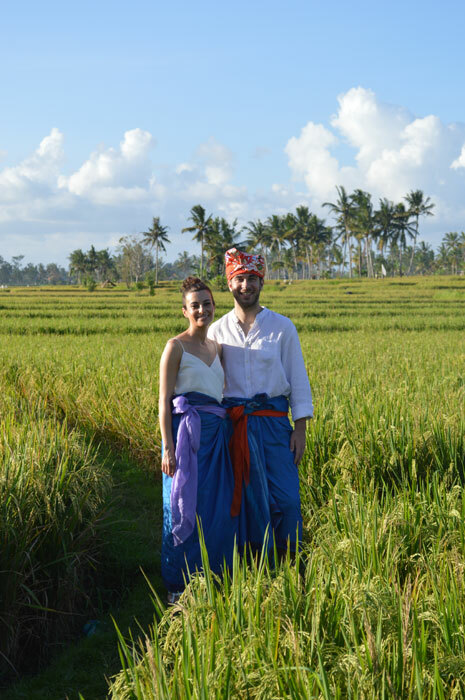 Next, you and your spouse can experience a Balinese traditional wedding. 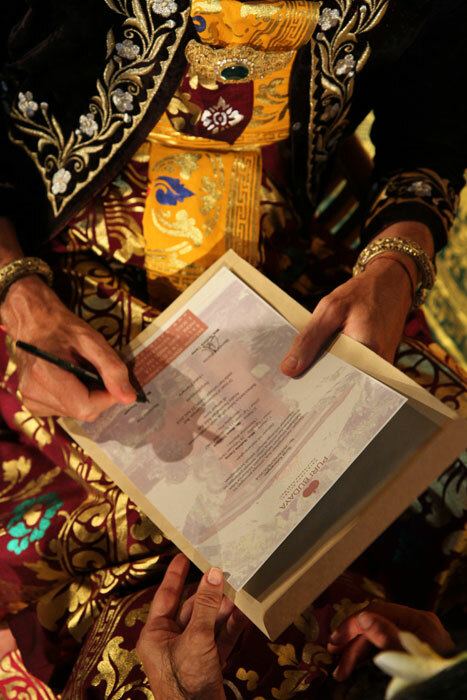 The blessing ceremony starts at around 4 o’clock in the afternoon, the best time to receive the mystical aura from the turn of day into night. All parts of this ceremony are held at a traditional Balinese house.